One of the most iconic theme park places is the Disneyland castle and LEGO has just announced their Disney castle version. The LEGO Disney Castle 71040 will be one of the neatest builds with over 4,000 pieces and 5 minifigs: Mickey Mouse, Minnie Mouse, Donald Duck, Daisy Duck and Tinkerbell. The Disney castle will have 5 floors of play features. It’s the 60th Diamond Celebration at Disneyland and I just had to go this year. I remember the many family trips, then trips with the cousins, going with college friends and then going as an adult over the years – Disneyland meant something special to me. This epic summer 2016 trip would be with all my cousins and siblings and most of us did a 2-Day Hopper to check out Disneyland and California Adventure. Disneyland fanatics will want to travel this summer for the grand opening of Shanghai Disneyland in China. One cool attraction that has me hyped-up is the TRON Lightcycle Power Run presented by Chevrolet. This eye-popping adventure ride looks really neat and puts you in the world of TRON. Here’s a look at the full ride by Inside the Magic! SoCal has Disneyland and there’s Disney World in Orlando, Florida, but there is also The Walt Disney Family Museum in San Francisco. The museum is located near the iconic Golden Gate Bridge and in Presidio Park. The museum explores the life and times of Walt Disney. The Walt Disney Family Museum also showcases other exhibitions. There’s a time to head to Disneyland in SoCal and a time to head to Disney World in Orlando, Florida. Disney World has just opened the Star Wars Launch Bay area and it’s great for Star Wars fans. This past weekend was the Disney-only convention D23, which had many big movie announcements and other Disney-related items. 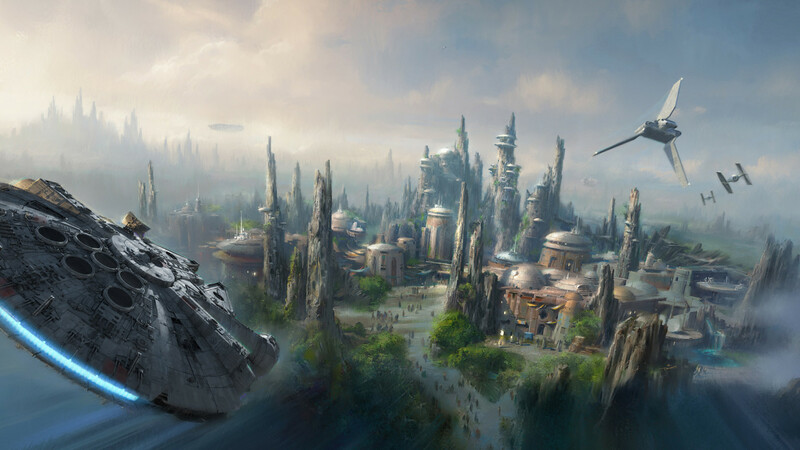 Imagineer Scott Trowbridge showcased the upcoming Star Wars Land in both Disney parks Orlando and Anaheim. Plus they will be updating Star Tours with a new planet from Episode 7. Disney teams up with VANS for the Disney Collection. A mix of Disney branded footwear, apparel and accessories for the young and old, men and women. There are many rides at Disneyland and one of the most iconic roller coaster rides is Space Mountain. Disneyland fan blog – ImagineeringDisney.com was able to dig up some behind-the-scenes construction of the Space Mountain ride in 1974. Just in time for Halloween from Play Buddies – here’s Mickey and Minnie Halloween action figures. The figures stand 3.5″ tall and comes with Halloween accessories. Play Buddies also have 2 other collection sets, the Mid-Autumn Festival figures celebrating the Lunar Harvest all around Asia and a Playground theme set of Disney characters.